Errachidia, Morocco - Over the past weekend (November 12, 2016) some South Africans had the opportunity to tackle the Moroccan Dakar dunes in the latest incarnation of the Nissan Navara, earmarked for local launch early next year. But, given that the twelfth generation of Nissan’s iconic pickup was already revealed to the world in June 2014 in Bangkok, Thailand, and was released in Europe earlier this year, why did it take so long for the new Nissan bakkie to reach our shores? 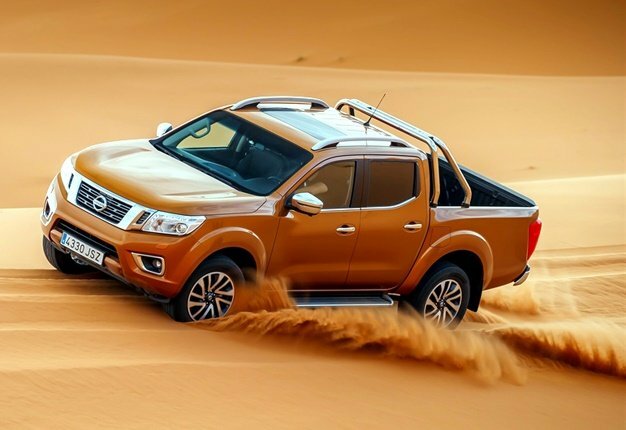 According to Xavier Gobille, managing director of sales and marketing for Nissan in sub-Saharan Africa, the reason for this is two-fold: Firstly, the Navara models earmarked for SA in some important aspects differ from the model already launched in Europe and Asia. And secondly, in preparation for the production of the new Navara, the Rosslyn plant of Nissan SA was overhauled and revamped completely. Obviously, this took time. Interestingly, the King Cab version - the model that started the double cab craze - will not be made available in SA. All Navaras will retail locally with a class-leading five-year or 150 000km manufacturer warranty. The SA derivatives will have about 20mm more ground clearance than the Euro-spec Navara models. The top SA derivatives will have a five-link suspension and coil springs at the rear. While a differential lock is optional on Euro-spec models, it will be standard for South African models. While satellite navigation is only offered as an option in this class (Isuzu's KB has sat-nav too, Ed), the top Navara model will have it as standard. With CO2 emissions starting from as low as 159g/km, the Navara is best in its class in this respect, while its fuel consumption of 6.4-litres/100km in the combined cycle, according to Nissan, is also foremost. Nissan SA has decided not to make the King Cab version available as the market for this derivative is limited, and therefore will not really add any value to the local range. Two versions of the new 2.3-litre diesel - a low output version with single turbo and the more powerful double turbo version - will initially be offered, while petrol models will follow later. The indications are that the higher specced double cab version will be fitted with 18" wheels and tyres, while the single cab models mostly will be fitted with 16" rubber. No 17" option is available. The polyurethane load bay cover used in the European models will apparently not be available in SA models, as it is not deemed tough enough for the rigours it will face here. Nissan’s class-leading six-year or 150 000km is a tangible sign of the trust Nissan has in the new Navara.